In this SPJST Health Insurance Company Review, we will look at different aspects of the company. 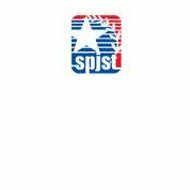 SPJST stands for Slavanska Padporujici Jednota Statu Texas or, translated, Slavonic Benevolent Order of the State of Texas. The company is based out of Texas and provides life insurance products as well as fraternal activities. It does not offer health insurance products. To compare health insurance rates for different companies you can fill in your zip code right now. SPJST Insurance Company was founded by Czechoslovakian pioneers in 1897. It started in La Grange, Texas as a fraternal society to make sure their members enjoyed financial security. Although those individuals with a Czech heritage are especially encouraged to join, membership to SPJST is open and available to everyone. To become a member all you need to do is purchase life insurance. SPJST Insurance Company provides a wide variety of products for life insurance in order to bring peace of mind to its members. The two kinds of insurance available include whole life and term life insurance. On the terms for 20 and 30-years, there is a rider available for Return of Premium. For ages 0-15 there is the youth achiever policy, and at ages 16 and 17 there is priority life. Along with life insurance, SPJST Insurance Company offers annuities. There is a 5-year annuity available as well as two deferred annuities, a flexible premium, and a single premium. SPJST Insurance Company offers Roth IRAs as well as non-qualified and qualified traditional IRAs. To find out more about the insurance company you can check out http://insurance.tx.gov. The fraternal part of SPJST is based upon the simple idea that each one of us has a responsibility to help and support each other. SPJST has over 100 fraternal lodges in the state of Texas. The members commit their energy and time to the communities around them and support worthwhile causes. They live by the value of helping people care for not only their own families but others as well. To help members achieve career goals and further their education, SPJST offers a scholarship program. There are SPJST General Scholarships that are available for all members. These scholarships are funded by voluntary contributions and the Supreme Lodge. The SPJST Leadership Grants are available for youth who are active club members. The Supreme Lodge funds these leadership grants. In order to apply for the grants or scholarships, one will need to have had an insurance certificate from SPJST for at least one year and must continue the certificate for the time the grant or scholarship is valid. The recipients must attend a technical school or college full time and their academic and personal standards must stay satisfactory. To find out more about the scholarship program or to request an application you can call 1-800-727-7578. Just enter your zip code in the quote box to compare health insurance quotes online.